Basically, the intention of this term paper is to discuss briefly about the phenomenon of religious pluralism, its concept and characteristics which is deviated from the true Islamic teachings, and make an evaluation on it based on Islamic perspective. In general, religious pluralism promoted the idea of ‘tolerance’ among religions but to certain extent, this idea of ‘tolerance’ is contradicted to the worldview of Islam. 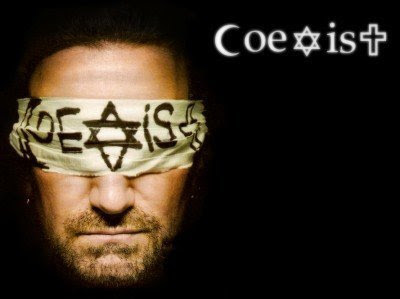 It is not solely a theory of creating co-exist between religions but it is an ideology which try to destroy the faith of a believer. This paper will firstly discuss and making commentary on a newspaper report with regards to this particular subject of discussion. Secondly, the historical background of religious pluralism will be explained. Thirdly, under the subtopic “Concept and Characteristics of Religious Pluralism”, the nature of religious pluralism will be revealed. Also, the distinction between some Islamic concepts such as plurality, and tolerance, with religious pluralism as an ideology will be clarified in this subtopics. Meanwhile, the Islamic evaluation on the concept of civil society will be the last sub-topic of this paper. KUALA LUMPUR: Islam rejects the notion of religious pluralism which espouses that all religions are equally good and true, said Institute of Islamic Understanding Malaysia (IKIM) director-general Datuk Nik Mustapha Nik Hassan. He said, however, Islam accepted that veracity, truth, goodness and ethics co-exist all religions. "Islam has always welcomed fairness, honesty and integrity irrespective from where they come from. Goodness and ethical beauty should be harnessed to propel the people towards a better direction," he said when commenting on religious pluralism aired in a newspaper today. Nik Mustapha said despite differences of religion, national unity should be fostered by advocating the uniqueness of religious traditions while promoting goodwill, benevolence and compassion. "Devotees of various religions should strive to do good deeds, for example by championing the poor and needy people," he said in a statement. The year 2010 had been showered with the topic of religious pluralism. There are many contradictions concerning this topic. In the month of December, one of Malaysia’s English newspapers had published an article entitled “Islam Rejects Religious Pluralism, Says IKIM”. The article which was dated 16th December 2010 stated the opinion of Datuk Nik Mustapha Nik Hassan, the Director General of Institute of Islamic Understanding Malaysia (IKIM) regarding the topic of religious pluralism. According to the newspaper article we had found, as stated by Datuk Nik Mustapha Nik Hassan, Islam rejects the concept of religious pluralism. The idea of each and every of the religions in the world are equally good and true cannot be accepted by Muslim Ummah as it contradicts with the fundamentals of Islam. However, he also assured that Islam acknowledge the existence of other religion in the world without admitting the truthfulness of the religion. For example, in Malaysia, everyone can live together in harmony despite being vary in their religious beliefs. Even though we reject the idea of religious pluralism, we should respect people with their beliefs. Datuk Nik Mustapha also said that every religion have their own ethical uniqueness and good qualities that can be use to promote good deeds towards others. These qualities should be used to support the poor and needy people. Historically, religious plurality is a normal phenomenon. It existed throughout the history of mankind. In Islam, Muslim attitudes toward people of other religions have been guided by the images of those religions appearing in the Qur’an. Almost all the information Muslims have been given about other religions has been derived from the Qur’an or approved commentaries. The encounter of Islam with other religions dates back to the Prophet Muhammad. The basic attitude has been that the other religions are deviations from primordial religion, of which Islam is the full revelation. During the medieval period certain categories were developed by Muslim scholars to understand other religions. Buddhists were skeptics; Hindus were rationalists who denied prophecy; Christians were tritheists; and Jews were corrupters of prophecy. Other religions were fault because they had lost or corrupted the original revelation or had fallen into doctrinal error. Meanwhile, the debate on religious pluralism has nothing to do with plurality. It means, we have no problem with plurality. Islam accepts plurality, but not pluralism (in the sense of ideology). The term ‘religious pluralism’, according to Syamsuddin Arif, is a new term which appeared in modern intellectual literature. Actually, it is not very clear who was the first person to coin the term. But, this ideology have been broaden and spread systematically by some of the contemporary thinkers such as Raimundo Panikkar, Wilfred Cantwell Smith, Fritjhof Schuon, Rene guenon, Hans Kung, and John Hick. Nur Farhana Abd Rahman, through her research, stated that she recognized the idea of religious pluralism is highly related to liberalism and the supporters of religious pluralism are usually the supporters of liberalism. The issues of liberalism and pluralism appeared in the West especially in 18th and 19th Century with the occurrence of liberal Christian movement, “the Liberal Protestantism” led by Fridrich Schleimacher and also the liberal Jewish movement led by Mosses Mindon Isshon. Among the issues which they struggle for are (1) political issues such as claiming for democracy and freedom of speech, (2) social agenda like women emancipation, and (3) faith and belief agenda such as claim for religious pluralism or struggle for equality for all religions. In 1893, there was an effort to promote this idea globally by organizing a convention on world religious issues by the name of World Parliament of Religious, held in Chicago, USA. This ideology spread through ideas, theories and slogans such as Perennial Philosophy, The Transcendent Unity of Religion, Global Ethics, Universal Theology of Religion and so on. In Muslim world, certain influential modernists such as Rifaah Rafi al-Tahtawy, Qasim Amin, Ali Abdul Raziq, Hassan Hanafi, Sayyid Ahmad Khan, and Mohamed Arkoun are among the persons who responsible to promote the idea of liberalism which lead to the existence of religious pluralism while recently in Indonesia, this ideology is being promoted by Jaringan Islam Liberal (JIL) or Liberal Islam Network. Recently, JIL has produced a book entitled “Fikih Lintas Agama” (Inter-Faith Jurisprudence) which touched the issues in the sense of relations among religions in area of faith, jurisprudence and ritual practice. Unfortunately, they came out with weird outline of religious practices. Certain cases such as inter-religious marriage, sharing a single house of worship for several religions, phenomenon of riddah, etcetera appeared in Indonesia as manifestation of this weird, ridiculous ideology. Etymologically, the term ‘religious pluralism’ consists of two words which are ‘religious’ and ‘pluralism’. As we already known, ‘religious’ is an adjective form of the word ‘religion’ which refers to the systems of belief that is based on a belief in a God or gods. On the other hand, the word ‘pluralism’ is a combination of two words, ‘plural’ and ‘ism’. Plural means variety or more than one and the term ‘ism’ is referring to an ideology. Therefore, in general ‘pluralism’ means an ideology which belief in varieties. Before we go further, it is better to differentiate between ‘pluralism’ and ‘plurality’. Are they the same? If they are same, it will be no problems especially in religious context. ‘Religious plurality’ is a fact that there are a variety of religions and difference between faiths in this world. In fact, religious plurality is a kind of Sunatullah (God rules and destiny). Meanwhile ‘religious pluralism’, according to Syamsuddin Arif, is a belief that those varieties religions have similarities in the aspects of ontology, soteriology and epistemology. Religious pluralism can be defined as the acceptance of various religions that exist on the face of the earth. By recognizing all of the other religion, there are no religions that consider being superior among all the religion. That is to say that all religions are equally true and there is no sole sources of truth in religions. It can also means as a term for the condition of harmonious co-existence between adherents of different religions or religious denominations. Those who adhere to the idea of religious pluralism may interact with people from other religion in order to understand and grasp not only their tradition but also their belief. For instance, Muslims believe in the Oneness of God and the authority of the sole creator which is Allah, while the Christians believe in Jesus Christ as their God. However, people who live based on the path of religious pluralism might believe in both. John Hick, among the most aggressive individuals who promote this ideology, defined religious pluralism as: “the view that the great world faiths embody different perceptions and conceptions of, and correspondingly different responses to, the Real or the ultimate from within the major variant cultural ways of being human; and that within each of them the transformation of human existence from self-centeredness to Reality centeredness is manifestly taking place – and taking place, so far as human observation can tell, to much the same extent.” Therefore, Hick made a conclusion that the great religious traditions are to be regarded as alternatives soteriological spaces within which, or ways along which, men and women can find salvation/liberation/fulfillment. From aforesaid quotations, we recognized religious pluralism as an ideology which claimed that all religious tradition are the manifestation of the One Ultimate God which John Hick named it as the Real or the Ultimate. That means, the Real or the Ultimate is believed as El/ Elohim/ Adonai/ Yahweh in Judaism, Holy Trinity in Christianity, Allah in Islam, Trimurti in Hinduism, Amitabha Buddha/ Nirvana in Buddhism, Tao in Taoism, Sat Nam in Sikhism and so on. So, the pluralists assumed that religions are a result of human response to God. They called it as ‘religious experiences’. That means, those pluralists are trying to reduce religious entity to be just as ‘human response’ and totally denying possibility of religion origin from God. Thus, all religions are relatively the same, and no one can claim themselves as the uniqueness of truth and salvation because each religion is sharing only a partial truth and not the whole truth. As stated by Paul Knitter, “All religions are the same – different paths leading to the same goal”. Is it true that religious pluralism is deal with religious tolerance? This is a confusion happened in Muslim society when certain people accepted the concept of religious pluralism simplistically. Pure pluralist such as Diana L. Eck, the director of Harvard’s The Pluralism Project, by herself rejects the equation ‘religious pluralism’ equal to ‘religious tolerance’. She proposed that being tolerant towards other religion is not sufficient and pluralism in religion goes beyond sheer tolerance between people of different religious faith. That means, for the pluralists, tolerance itself might be deceptive virtue. Thus, it is up to the point of understanding the other religion, across the line of differences. This is to exterminate the ignorance about the differences between religions and their real intention is to stress on equality and make all people from various religious traditions accept and acknowledge all faiths are similar and same. 1. Equality: religious pluralism teaches there are no best religion as well as no worst religion; all religions are equal and same. 2. Liberalism: religious pluralism considers freedom to choose in the sense of embrace-leave a religion. Pluralism teaches its believers that people can change their religion according to what they believe. A person can be a Hindu today, and then be a Christian tomorrow. The freedom of choosing the religion relies on the person themselves and is not restrain by any factor whatsoever. 3. Relativism: religious truth is relative. There is no Absolute Truth. According to John Hicks, every religion guides towards salvation. His statement means that every religion brings to deliverance from sin and its consequences. It implies that one religion guides to the same path as the other, which is paradise even though that fullness of salvation can only be achieve by one’s own religion. 4. Reductionism: to achieve equality among religions, religious pluralism’s teaching has reduced the religions’ uniqueness and identity, to become narrow; it is only in a matter of public affairs. In other words, religious pluralism is secular in nature. 5. Exclusivism: The pluralists claim that they are anti-exclusivism (inclusive), being champion in religious right and freedom, organizing dialogue between different faiths to achieve consensus, and respecting the diversity of religions. But actually, the reality is, religious pluralism by its teachings has fiercely taken away the right and freedom of every religions to claim for ‘uniqueness of truth and salvation’ as it declared itself as the interpreter of the diversity of religions. In other words, they convey other that there is no Absolute Truth but monopolized the claim of Truth. On the other hand, Islam as the only truly revealed religion was already complete, fully developed and perfected during the last time of the last Prophet SAW as confirmed by Allah in surah al-Maidah (5): verse 3: “this day have I perfected your religion for you, completed my favor upon you, and have chosen for you Islam as your religion”. Besides, the name of the religion of Islam and its adherents as Muslims as well as its form and substance were clearly given in the Holy Qur`an and not by their enemy nor by historical development. In addition, the language and forms of worship and other religious rituals and duty were known and established during the lifetime of the Holy Prophet SAW. Therefore, can Islam accept other religions as haqq (truth and reality)? Here, in the light of the Qur`an and the Tradition of the Holy Prophet s.a.w., we will specifically justify why Islam rejects religious pluralism. Firstly, in ‘Aqidah Islamiyah (Islamic creed), there are no other religions that can be considered as true except Islam, whose teaching deletes the teachings of religions before it. Allah says in the Holy Qur`an, in surah Ali ‘Imran (3): verse 85: “If anyone desires a religion other than Islam, never it will be accepted of Him; and in the Hereafter he will be in ranks of those who have lost”. Secondly, it is compulsory (wajib) to believe that every non-Muslim whether they are Christian or Jew or others, they are kafir (who reject Faith) and those kafir will be placed in the Hellfire as Allah says in surah al-Bayyinah (98): verse 1 and 6: “Those who reject Truth, among the People of Book and among the Polytheist, were not going to (depart from their ways) until there should come to them Clear Evidence”, “Those who reject Truth, among the People of Book and among the Polytheist, will be in Hellfire, to dwell therein (forever). They are the worst of creatures”. Also, in Shahih Muslim, Prophet Muhammad s.a.w was reported to have said: “By the God whom my soul in His Hand, there will be no man whom my message have been heard, whether they are Jews or Christians (even Polytheist), then they die in condition of still not accepting Faith, except become the member of Hellfire”. Finally, based on above principles of ‘Aqidah and Sharia’ah, therefore the religious pluralism propaganda is a plan to stir together the Truth (haqq) and the wrongness (batil), destroy the pillars of religion of Islam, and pull Muslim to blasphemy (riddah). Allah says in surah al-Baqarah (2): verse 217: “Nor will they cease fighting you until you turn back from their faith (become kufr) if they can” and surah al-Nisa’ (4): verse 89: “They but wish that you should reject Faith, as they do, and thus be on the same footing (as they)”. From our brief survey, in a nutshell, we can conclude that religious pluralism is a doctrine, teaching, ideology, believe, conviction and way of life which acknowledge all religions as same, similar, true, authentic, valid and way to salvation. Thus, it is clear that religious pluralism will not be accepted by Muslim because of its teachings which deviate from Islamic teaching as mentions in the Qur`an and the Prophet’s Tradition. Abd Rahman, Nur Farhana. “Faham Pluralisme Agama Dan Percanggahan Dengan Akidah dan Shariah Islamiyah”, Wacana Membanteras Gerakan Pluralisme Agama dan Pemurtadan Ummah 14 Disember 2010, KL: Muafakat, 2010.
. Risalah Untuk Kaum Muslimin, Petaling Jaya: ABIM, 1978.
. Islam and Secularism, Petaling Jaya: ABIM, 1978. Arif, Syamsuddin. “Pluralisme di Indonesia: Paham dan Amalan”, Wacana Membanteras Gerakan Pluralisme Agama dan Pemurtadan Ummah 14 Disember 2010, KL: Muafakat, 2010. Coward, Harold . Pluralism: Challenge to World Religious, New York: Orbis Book, Maryknoll, 1985. Knitter, Paul F. No Other Name? A Critical Survey of Christian Attitudes Towards the World Religions, New York: Orbis Book, 1995. Toha, Anis Malik. “Mencermati Doktrin dan Ciri-ciri Fahaman Pluralisme Agama”, Wacana Membanteras Gerakan Pluralisme Agama dan Pemurtadan Ummah, 14 Disember 2010, KL: Muafakat, 2010.
. “Ciri-ciri Pluralisme Agama”, Symposium Wacana Fahaman Pluralisme Agama dan Implikasinya Terhadap Masyarakat Islam, 1 Mei 2010, KL: Muafakat, 2010. Nur Farhana Abd Rahman, “Faham Pluralisme Agama Dan Percanggahan Dengan Akidah dan Shariah Islamiyah”, Wacana Membanteras Gerakan Pluralisme Agama dan Pemurtadan Ummah 14 Disember 2010, (KL: Muafakat, 2010), pg. 5. John Hick, Problems of Religious Pluralism, (Houndsmills, Basingstoke: The McMillan Press, 1985), pg. 36. Anis Malik Toha, “Mencermati Doktrin dan Ciri-ciri Fahaman Pluralisme Agama”, Wacana Membanteras Gerakan Pluralisme Agama dan Pemurtadan Ummah, 14 Disember 2010, (KL: Muafakat, 2010), pg. 4.